The Mythos Boba Fett imagines the bounty hunter from another time. 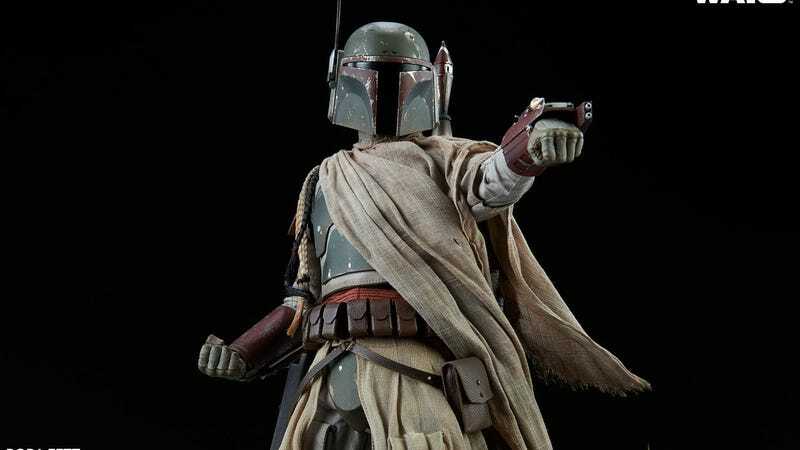 The company has just revealed full images of its sixth scale Mythos Boba Fett collectible. It’s the second character in a special Star Wars series that imagines iconic characters in brand new ways. The series “allows the collector to imagine what could have been but maybe never was. Myths meant to be initiated by the eye and completed by the mind,” according to the Sideshow site. First up was Obi-Wan Kenobi, though Boba Fett’s brand new look is much more open to interpretation than Kenobi’s. Here are some images. With the Mythos series, the speculation is the best part. 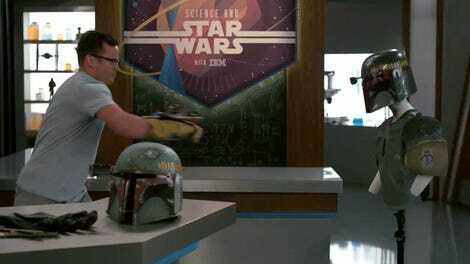 It allows us to imagine when Boba Fett could have looked like this. Was it before A New Hope? Or, perhaps, after Return of the Jedi if he potentially got out of the Sarlacc Pit? Surely, the designers at Sideshow and team at Lucasfilm have an opinion, but mostly it’s up to the fans. The copious amount of accessories may offer a hint. Those guns? Those lightsabers? When could he have gotten those wonderful toys? For more info, and to pre-order the figure (he’s $250), visit this link.